This revelatory anthology of electric-folk/garage-psych alchemists Marvin Gardens easily warrants oft-overused terms like “lost gem,” and “buried treasure”. Comprised of never-before-heard Warner Bros. audition demos, an extremely rare, self-released, seven-inch EP (only 100 were pressed), and an inspired live performance from the legendary Matrix club in San Francisco, 1968 captures virtually all recorded evidence of a dynamic and mesmerizing band that existed for only a couple years at the tail end of the 60s. By the end of 1967, the major San Francisco rock bands – Jefferson Airplane, The Grateful Dead and Quicksilver Messenger Service – had all been signed to major labels and a “second wave” of bands were bubbling up in the clubs and ballrooms around the Bay Area. Marvin Gardens was one of those scrappy newcomers; in fact all but one of the members grew up in the city. The influence of those local bands and the legacy of the eclectic music scene are audible here – strands of molten Quicksilver, the Dead’s cosmic blues, Big Brother’s grand gestures and the city’s open-hearted folkie past. 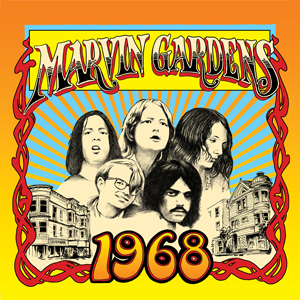 But Marvin Gardens went even deeper than that: there was a youthful, gritty garage-rock stance, a gently ironic wink, and a humble sincerity to their sound that their forebears had moved away from. Also on hand are glorious shadings of the Velvet Underground (early and later era), The Charlatans, and the Lovin’ Spoonful – all in all, a very natural amalgam of 1960s earth-wind-and-fire sonic sensibilities. Watch the video for "Down The Line" on Dangerous Minds here. But the plume feather in their cap, was lead singer Carol Duke. She was a wisecracking lesbian from Lubbock, Texas, with a deep knowledge of folk music, the vocal power and conviction of Grace Slick and Janis Joplin, and a spine-tingling pop-melodic purity that rivaled Mama Cass and Carole King. Duke was a natural, with a large repertoire of material, including songs by Buffy Saint Marie, Odetta, Bob Dylan, Lead Belly, Hoagy Carmichael and an eclectic and seemingly-endless range of pre-war blues, country and folk numbers. The band jumped right on and into these tunes – often without ever hearing the originals – and intuitively crafted sonically adventurous and emotionally compelling versions that completely stand on their own. You can hear that vital creative spark on both the studio tracks and the marvelously vivid live material herein. With their catchy folk melodic sensibility, primal rock instincts, and lead singer nonpareil, Marvin Gardens could have continued to grow as artists and make a serious mark locally and nationally. But they never “made it” past the Sixties or even much beyond the Northern California music scene. Apart from a handful of dedicated local enthusiasts and a warm embrace by the Gay Biker Club scene (“Whips and Leathers”, MG’s sole original was a celebration of that nascent movement), the band never achieved escape velocity. They gently fizzled out and went their separate ways, like most groups do, without a fuss. As of 2012, Marvin Gardens was just a hazy memory. The band’s former members and followers believed that all the glorious music they played from 1968-1969 had been completely forgotten. And they were right….almost. Thanks to some die-hard fans, archivists and true believers, one of the coolest bands you’ve never heard of is finally getting its debut. High Moon Records has created the ultimate document of a group that should have been a bigger deal and still very much deserves to be heard. Pre-Order Marvin Gardens on LP & CD in our shop. Pre-Order Marvin Gardens on iTunes here. Terry Dolan’s Unreleased Debut Out on November 25th! Comments Off on Terry Dolan’s Unreleased Debut Out on November 25th! San Francisco legend Terry Dolan's previously unreleased 1972 Warner Bros. debut is out on November 25th. This lost gem is finally getting its due with a deluxe LP & CD release. Pre-order now! Terry Dolan — featuring an all star cast: Nicky Hopkins (The Rolling Stones, The Kinks), John Cipollina (Quicksilver Messenger Service), Lonnie Turner (The Steve Miller Band) and Neal Schon (Santana, Journey) — is the missing link between the frenetic, guitar-driven sound of the San Francisco ballroom scene, and the increasingly expansive West Coast singer-songwriters. With its epic guitar duels intertwining with driving piano and organ, it anticipated the jam band genre by twenty years. The album captures the dual nature of Terry himself, an East Coast folkie with a penchant for soul-stirring rock ’n’ roll. Amazingly, the chemistry captured on the album’s eight indelible tracks, and six bonus tracks, have never seen the light of day, until now. Side A: Based on the strength of a demo for his song “Inlaws & Outlaws,” Terry Dolan was offered a major record deal with Warner Bros. in 1971. Dolan tapped renowned British session pianist Nicky Hopkins to produce and play keyboards. Together, they put together a band of the “Who’s Who” of the San Francisco music community, Prairie Prince of The Tubes played drums with Lonnie Turner playing bass, Greg Douglass (Steve Miller Band) and John Cipollina shared guitar duties, with The Pointer Sisters adding gospel-tinged backing harmonies. The ensuing sessions created the mix of folk-infused, high-octane rock that became the Terry Dolan sound, but with only four of the album’s eight songs tracked and mixed, Nicky Hopkins was called on tour by The Rolling Stones, and Dolan was forced to regroup. Side B: The sudden departure of the producer Nicky Hopkins was a major setback, but Dolan found a solution in the form of Pete Sears, another virtuosic Englishman who’s numerous credits included Rod Stewart’s early solo albums. Sears produced the album’s second side and brought on guitarist Neal Schon, who would soon co-found Journey, and drummer David Weber. Greg Douglass returned on guitar. Sears shepherded the final four tracks and arranged the album into a cohesive and dynamic release. By September 1972, the album was completed and Warner’s commissioned artwork and assigned it a catalog number: BS 2669. 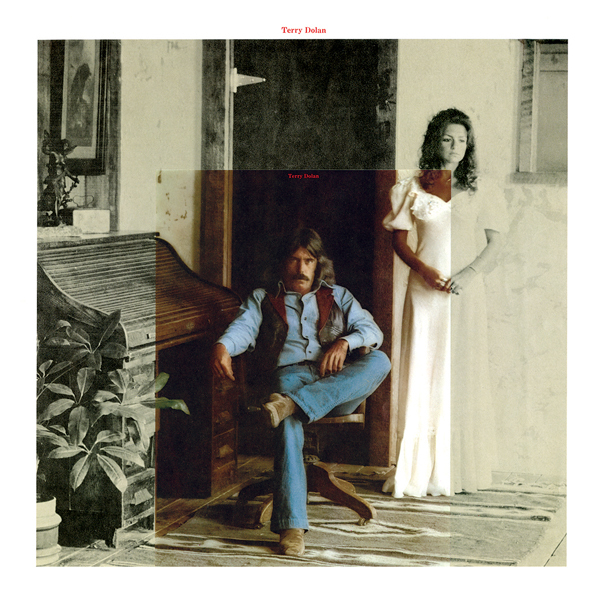 The record was slated for a February 1973 release, however — with no explanation ever provided — just two months before it was to hit the record racks of the world, Terry Dolan’s debut was cancelled, and he was dropped by the label. 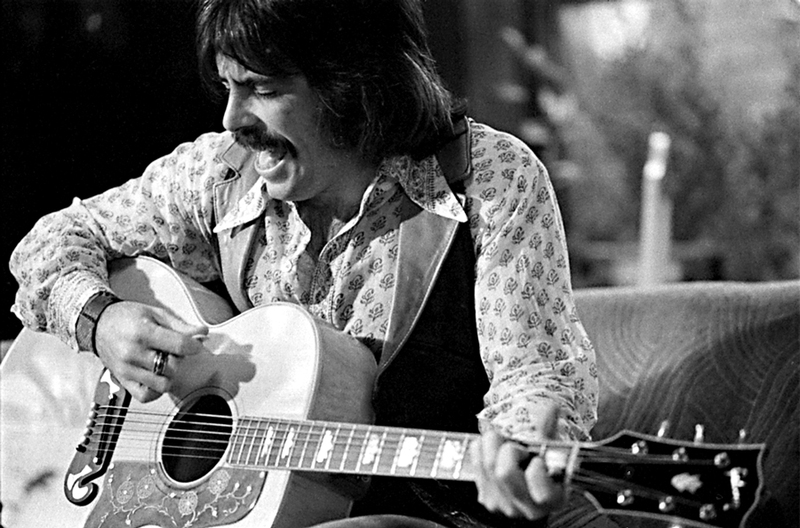 43 years later, with this first-time-ever release of Terry Dolan’s debut album, the world can finally hear how these early sessions—and the friendships, collaborations, and glorious hours of music they spawned over the years—still echo across the ages.